Another week with no loss and with an actual tiny gain this time. I'm not too concerned about the gain, especially since I didn't track all weekend long, but this plateau is getting a little old and I feel like I need to shake things up. So what are my options? Well, I can keep doing what I have been doing and wait it out or I can pick some concrete things to change and see what happens. I'm going to go with changing things up. I've decided to go back to more strict keto and to keep it under 30 net grams of carbs a day. The last 6 weeks or so I've had more over 30 net than under days and the weight loss has stalled so let's knock it back down to under 30 and see what happens. My food goals are basically to focus on protein, veggies, berries and fat, stick with no cheating and just get more strict. I also want to make sure I'm back to the Intermittent Fasting every day (no eating between 5 pm and 8:30 am) because that's become less of a focus lately as well. All of this might work or it might not work but there's only one way to find out. I'm also finally getting back to my regular gym routine as of tomorrow (dealing with major car repairs for most of the today) so that will also help kick things into gear. It's been two weeks since I've worked out regularly and I really miss it! I'm going to start my workout weekly count over again since there was such a big gap of time off but keep the old amount of weeks in mind when looking over my progress (I stopped at the start of week 12). I think that basically covers it for this week. Now to go and study some more! Hi! I am a keto fan myself and came across your blog! Keep up the great work! 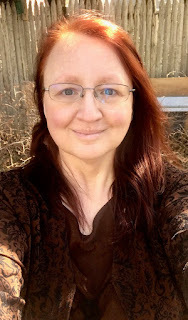 Can you tell me what hair color you are using in your current avatar picture??? It is GORGEOUS!! !